For awhile now we’ve been getting nuggets of information on the Freddie Mercury/Queen biopic, BOHEMIAN RHAPSODY, starring Rami Malek (MR. ROBOT) as the prolific musician. We’ve been teased with everything from set-pics, to an epic performance by Malek recreating the epic concert from the Live Aid show. Now, we finally have a teaser trailer, and it looks awesome! Check it out below. Admittingly, being a child of the ’80s, Queen was a little before my time, so I don’t claim to have as a big attachment to Mercury and Queen as I do to the glam bands of my day. But even though I might be familiar with the history of it all, their music has always been a part of childhood, and teenage years, and the more I see about this movie, I can’t wait for it! 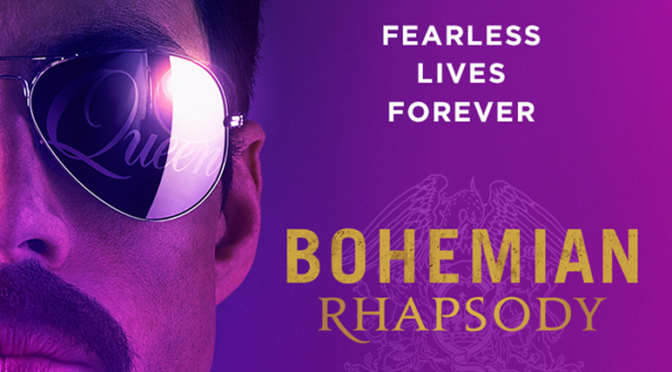 BOHEMIAN RHAPSODY hits theatres on November 2nd. Are you excited? Drop your thoughts on the Fuzzybug Facebook Page!